"The new line of doughnuts combines scary and hungry"
WINSTON-SALEM, N.C.--(BUSINESS WIRE)--Sometimes the scariest monster is a hungry you! 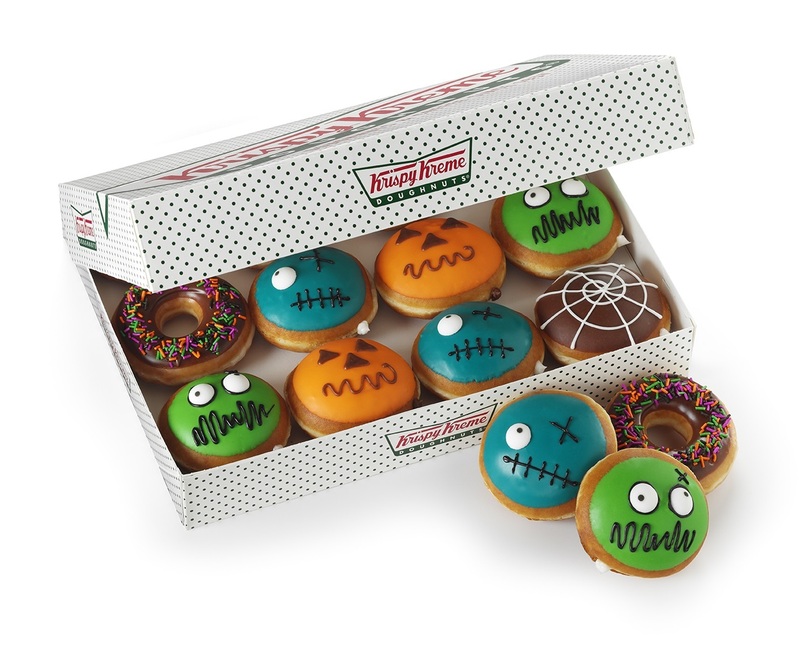 Krispy Kreme Doughnuts announced today new Halloween doughnuts and beverages available in participating shops in the U.S. and Canada. The Zombie Doughnuts, Pumpkin Doughnut, Spider Web Doughnut and Caramel Apple Chiller beverage are available now through Oct. 31. 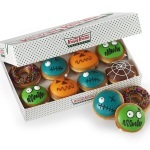 The Zombie Doughnuts are a Kreme™ filled shell dipped in either electric blue or green icing. The spooky faces are hand-decorated with black icing and topped with candy eyes. A fan favorite is back! The Pumpkin Doughnut is filled with Chocolate Kreme, dipped in orange icing and decorated with black icing. The Spider Web Doughnut is filled and dipped in rich chocolate icing. This doughnut is finished off by creating a hand-decorated Spider Web using a white icing. The Caramel Apple Chiller is the sweetest addition to your Halloween costume this year. The perfectly tart green apple chiller is swirled with indulgent Ghirardelli caramel sauce to create an impeccable fall treat. Krispy Kreme’s Halloween doughnuts and beverage are the perfect addition to your costume party this October. Share your favorite Halloween moments using #Scungry and #KrispyKreme on social media. About Krispy Kreme Doughnuts, Inc.
Krispy Kreme Doughnuts, Inc., is a global retailer of premium-quality sweet treats, including its signature Original Glazed doughnut. Headquartered in Winston-Salem, N.C., the Company has offered the highest-quality doughnuts and great-tasting coffee since it was founded in 1937. Krispy Kreme Doughnuts is proud of its Fundraising program, which for decades has helped non-profit organizations raise millions of dollars in needed funds. Krispy Kreme doughnuts can be found in approximately 12,000 grocery, convenience and mass merchant stores in the U.S. The Company has more than 1,100 retail shops in 27 countries. Connect with Krispy Kreme Doughnuts at www.KrispyKreme.com, or on one its many social media channels, including www.Facebook.com/KrispyKreme, and www.Twitter.com/KrispyKreme.